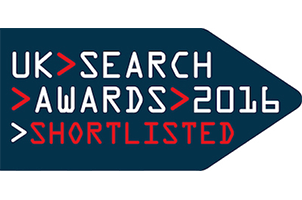 UK Search Awards 2016 Finalists Announced! Now in its sixth year, the UK Search Awards celebrates the very best in PPC, SEO and content marketing in the UK. Hundreds of Britain’s leading search and digital agencies enter, and agencies based abroad who are creating work for the UK market are also allowed to participate. The judging panel is made up of a selection of highly respected and influential figures within the world of Search, and the judging process is in two stages. Following each entry being pre-scored, the panel then meet for a face to face discussion. It is also one of the few UK digital industry awards where the judges are forbidden from entering. A look back through some of the previous winners gives an insight into just how high the bar has been set! After many months of waiting and biting our fingernails, the results for the 2016 UK Search Award nominations are in. Gravytrain are thrilled to have been nominated in 2 categories – Best Innovation Software and Best Small PPC Agency. Considering the calibre of the competition, even 1 nomination would have left us feeling like kids at Christmas! Both entries are testament to the fact we don’t let our size get in the way of our work. When we realised we would need a huge increase in people power to get our clients the results we wanted, instead of hiring a gang of new employees we set about finding a smarter way to make it happen: automation. By designing our own bespoke AdTech suite in house, we have managed to consistently exceed our clients’ expectations; in fact, both entries are a testament to our AdTech too! 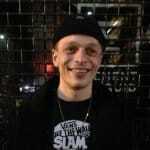 The ceremony is being held on November 30th at the Bloomsbury Big Top. Until then, we will continue to keep all of our fingers and toes firmly crossed. If you would like to find out more about our services, contact our solutions team today 020 3627 1970.